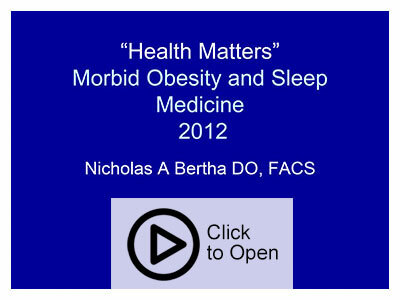 Listen to Dr. Nicholas Bertha discuss Morbid Obesity and Sleep Medicine. Read the latest from Dr. Nicholas Bertha and NJ Bariatric Institute. 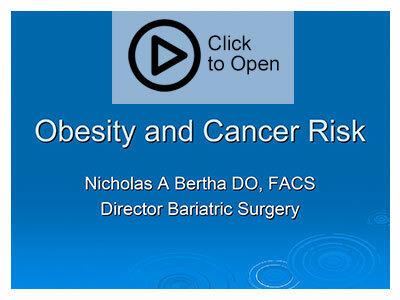 Review these PowerPoint Presentations by Dr. Nicholas Bertha for a better understanding in Obesity and Cancer and Obesity and Sleep Medication.